Before diving into different kind of Streams, let's talk about what a Streams are.. 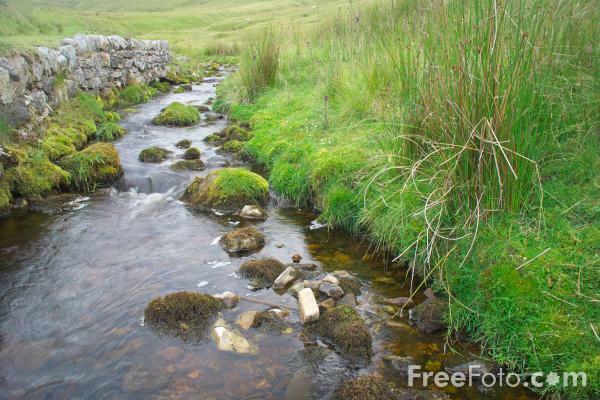 According to Wikipedia, A Stream is a body of water with a current, confined within a bed and stream banks. As far as a programming language is considered, a Stream can be considered as a representation of a sequence of bytes. A Stream hides where the data is coming from, the data (bytes) may be coming from a file or a socket or etc.. A Stream will hold the bytes and this is all we are interested in. A stream will have a connection either to an array in memory, a file or maybe a Socket. The data in the stream will either be pushed to whatever is in the other end of the link, or will be read from there. The trick with the Streams are is that you can either push data to a Stream or pull but normally only once and only in one direction. A Stream can support many different kinds of data, including simple bytes, primitive data types, localised characters and objects.. Streams can also manipulate data passing through them, compressing them, encrypting them or even converting them to characters etc..
We will need to use a Concrete Class Implementation to do the actual work. Let's do an example with FileOutputStream, which represents a File as far as we are concerned. The code above will write exactly one byte to a file called test.txt when executed. If you open the file with your favourite text editor and tell the text editor that the file being opened is a UTF-8 file, you will see "A" in the file. This is the byte representation of the character "A". // Retrieve the Object from the byte array..
And if you store integer 6 instead of 5, the last value you see above will simply be 06. Let's move on to BufferedOutputStream. The purpose of BufferedOutputStream is to buffer the data in the stream, and write chunks of data instead of writing a byte at a time. Please note that the second version uses a BufferedOutputStream where as there is no buffering involved in first one. You can clearly see that buffering the data increases the speed. This is because, computer does not need to wait for disk I/O for every byte. Instead, a chunk is sent to the file. Here, you can see that we have provided the charset in the constructor. This allowed us to use characters such as ğ,ş,ü to be written in the file. Lets simply write Ğ and see the hex-dump of it. Well as you can see, 2 bytes long of data is written in the file. If you convert the HEX Values to bytes, you will get 196 and 159 respectively. Wait, what the ! '^#™_4 is -1? Well -1 is returned if there is no more to read at the end of the Stream we have. So we know there are no more bytes in the source for us to read.